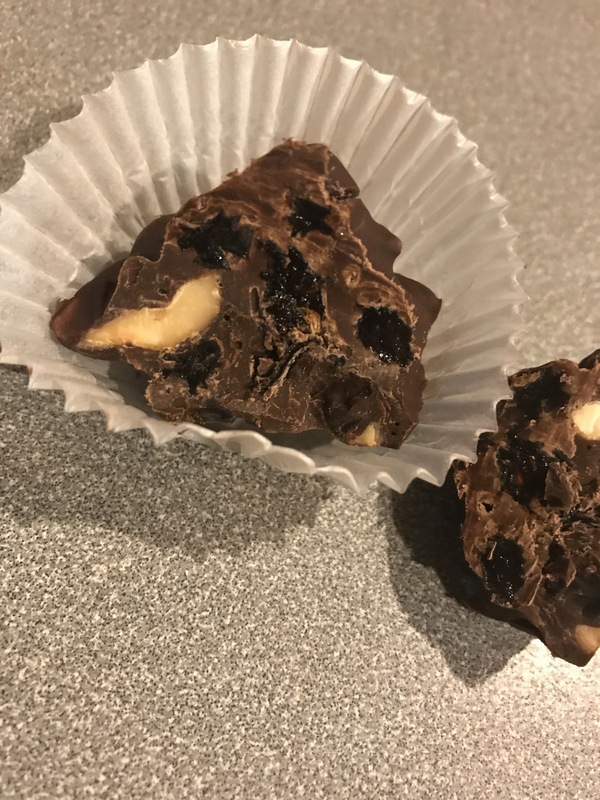 You know that chocolate candy bar loaded with raisins and peanuts? It comes in a silver package and it’s cut into four, easy-to-break-off, little squares? You know, that not-so-easy-to-find candy bar called “Chunky? !” Well, that candy bar is the inspiration behind the piles of chocolate candy you see in the photo above. For as long as I can remember, they were somewhat hard to find and I’ve pretty much only heard about them because they have always been my mom’s candy bar of choice. 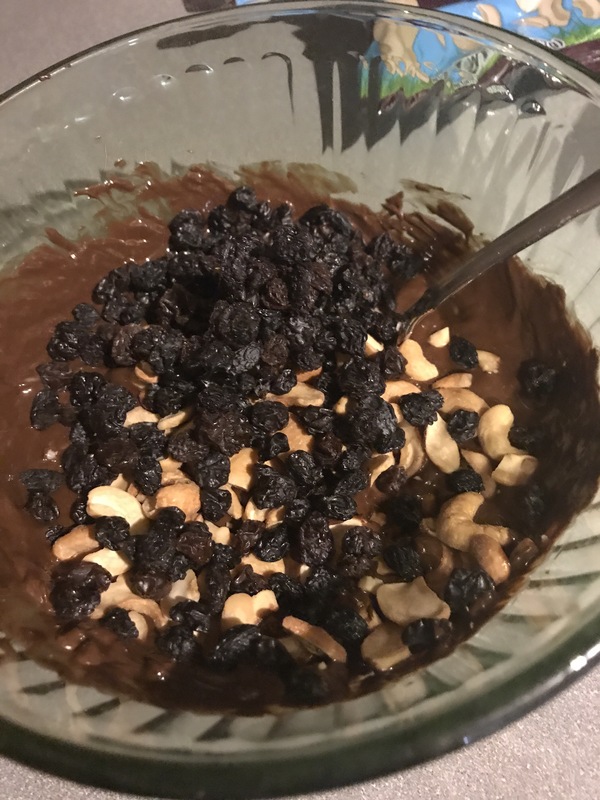 I mean come on, only a weirdo would like, chocolate, peanuts and raisins together, right?? Nope! 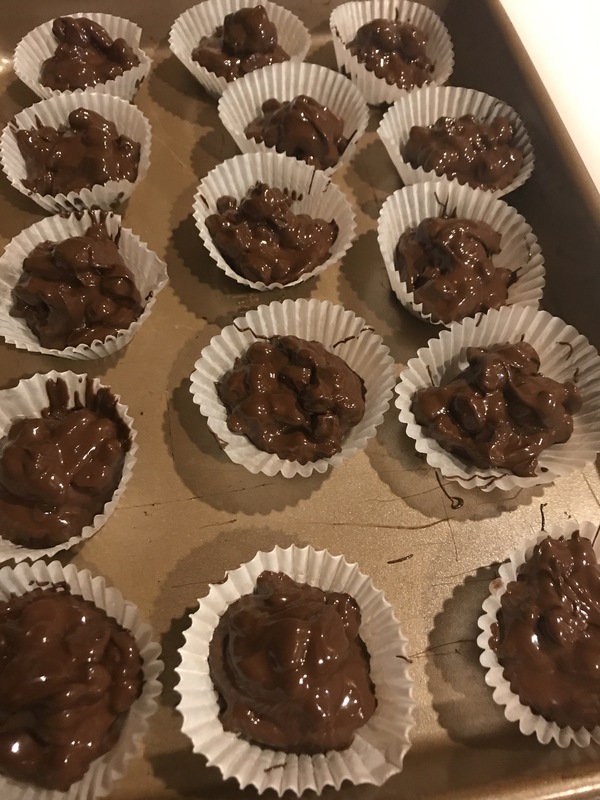 These are so delicious and so easy to make, you may finish the whole batch in one sitting! So, this is suuuuuuuuuper simple. 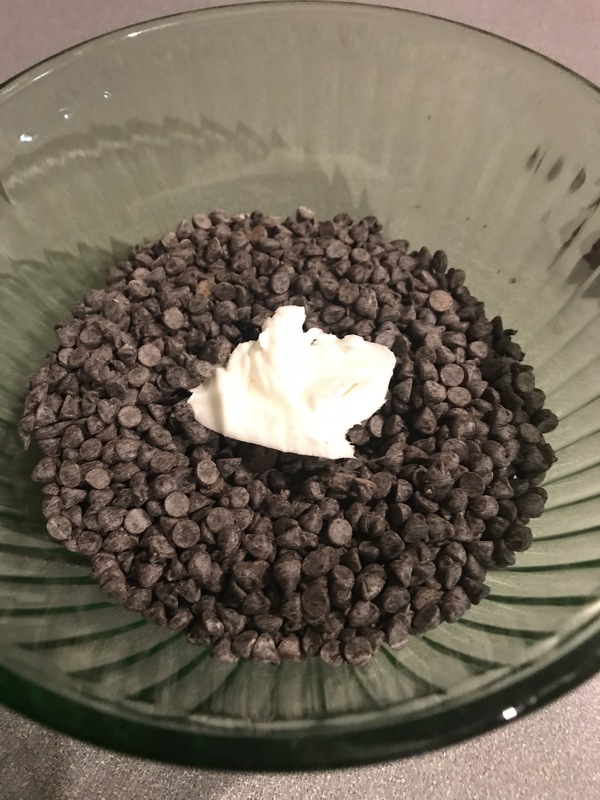 Take your chocolate chips and put them into a microwave safe bowl along with the shortening – microwave for 90 seconds, stir and put it back in for another 20 seconds. Immediately add your raisins and nuts and gently stir it all together. Start filling your cupcake wrappers! Fill each wrapper with about 2 tablespoons of your candy mixture and place on a small baking sheet or a plate. 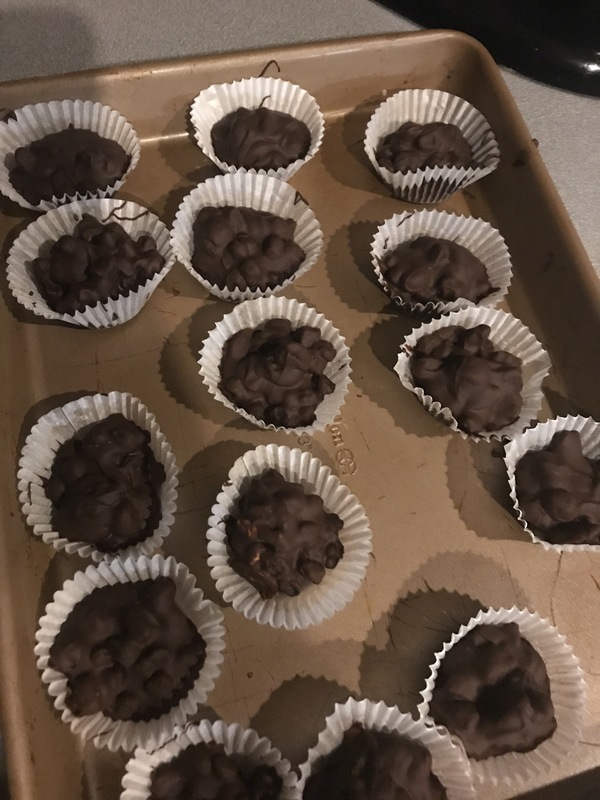 Place them in your freezer for about 30 minutes to help them transform into wonderful, nutty, sweet pieces of candy! 30 minutes later – out of the freezer and…BOOM! Chunk Candy! !